These little delicious muffins are such a nice treat on weekday mornings and weekend brunches alike. They're gluten-free, vegan, and super easy to make as an added bonus. 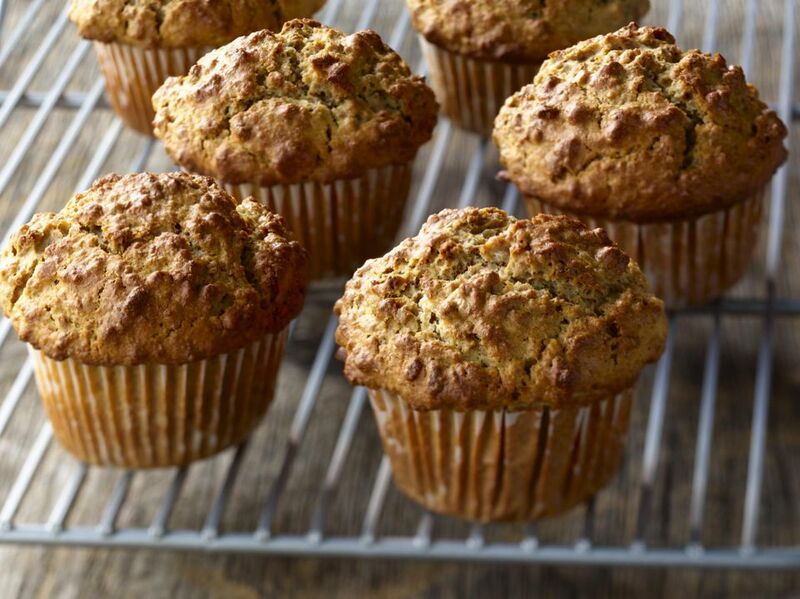 Loaded with banana flavor, you'd never know that these melt-in-your-mouth muffins are good for you, too! Feel free to add in other ingredients to dress up your muffins; blueberries, dairy-free chocolate chips, walnuts or other nuts, dried fruit, or shredded coconut are all tasty additions to any banana muffin. And if you want to make your morning meal a little extra special, try whipping up a deliciously dairy-free and gluten-free cashew butter, pumpkin butter, or vegan lemon curd. Lightly oil a standard 12-cup muffin tray and set aside. Using a standard ice cream scoop or melon baller, scoop the batter into each of the 12 muffin cups (if you do not have an ice cream scoop or melon baller, use a 1/4 cup measuring cup instead). Bake for 18 to 20 minutes, or until the muffins spring back slightly when touched. Allow muffins to cool in the pan on a wire cooling rack for 30 minutes, then remove and allow muffins to cool on the cooling rack. Serve warm, at room temperature, or cold. If using, dust with powdered sugar right before serving.